If this is your first time hearing about XDA, you may not know what it is and what it stand for. Then, when you search it in the internet, you will realize that there are a lot of meanings of this abbreviation. But, in this case, XDA or XDA developers is a mobile software development community which was launched on December 20th, 2002. The discussion of this community is mainly about android. However, members also talk about a lot of other operating systems and also mobile development topics. For your information, there are a lot of software and hardware hacks, methods of rooting and other phone and tablet specific tweaks come from the members of the XDA forum. Besides, XDA Portal which is a source for Android and mobile phone development news and XDA Labs which is an Android app and repository that acts as a third-party application provider are hosted by XDA Portal. Those were launched in 2010 and 2016 respectively. Do you know how this community built? The website of XDA Developers was made by NAH6 Crypto Products BV. As mentioned in the first paragraph that this community was launched on December 20th, 2002. Then, on January 2011, this community was bought by JB Online Media, LLC. 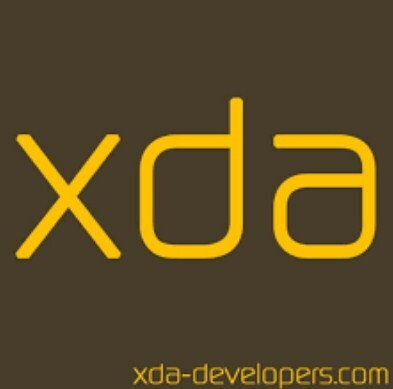 For your information, the name XDA Developers is derived from the O2XDA which was marketed as a personal digital assistant (PDA) with extra features. XDA cooperated with Swappa to be its official marketplace where users are able to purchase or sell devices and it happened in 2013. The main goal of the XDA Developers website is discussion, troubleshooting and development for android, Windows Phone, Sailfish OS, WebOS, Firefox OS, Ubuntu Touch, and Tizen phones. Besides, the website also provides general information about devices, technical support, ROM upgrades, Q&A, and also reviews of devices applications and accessories for Windows mobile and Android users. Different forums also exist for each model of phones which are manufactured by Sony, Google, Samsung, HTC, Motorola, LG Electronics and many others. Then, what is relationship between XDA Developers and Kingroot? In the website and also forum of XDA Developers, there are discussions about Kingroot. Kingroot is a root application that can be used to root android and this app is good for you who want to have root access to your devices and do not want to flash anything extra. The work of Kingroot is based on system exploit. By having root access, you can access and modify files that would normally be inaccessible, such as files saved on the /data and /system partitions. Having root access also permits you to run an entirely different class of third- party applications and apply deep, system-level modifications. In the forum of XDA Developers, you will also know other things related to Kingroot such as how to remove this app from your device, the reasons of why this app is difficult to be removed, and so on. So, if you have any questions or something that you want to know about Kingroot and other things about android, you are able to visit the website and forum of XDA Developers. Related Post "XDA Developers Kingroot"